Now that you know a little bit about me, I’d like to let you know a little about my style and my process. 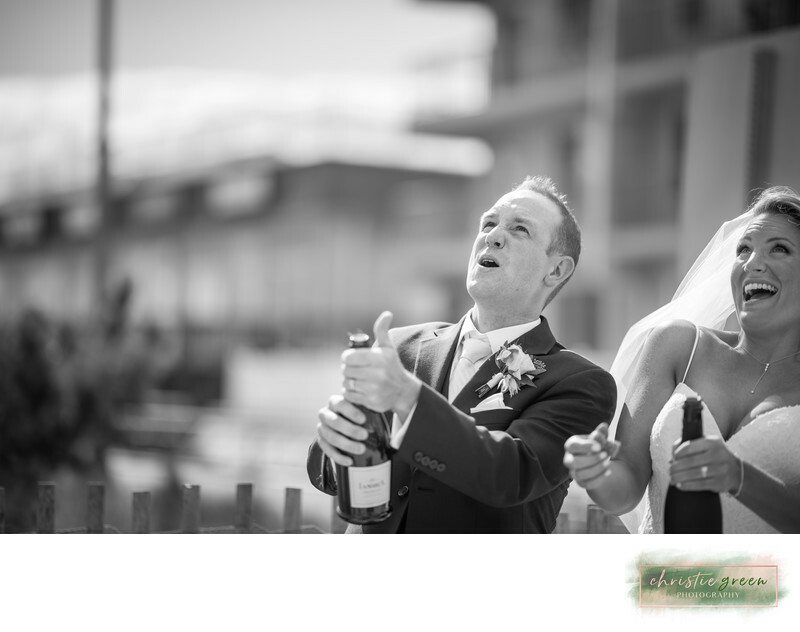 My favorite images are almost always the moments through your wedding day that happen organically. I love the moment that the bride and groom see each other for the first time, whether that is before the ceremony or when the bride walks down the aisle. If you decide to see each other before the ceremony, I will set you up in a spot with great light, and then shoot from afar with a long lens. This is your moment and not one that should be posed or interfered with. Of course, there will be some posed photos throughout the day, but I promise that you will not be smiling at the camera for lengthy periods of time. Every wedding package begins with 6 hours of coverage, minimum. My base packages include coverage from myself and my second photographer, Katie. 8 hours of coverage seems to be the sweet spot. The gallery I deliver to you will tell the entire story of your day, from hair and makeup to your uncle’s crazy dance moves. Most decisions we make during the day are based on light. Great use of light will take a good photo and make it amazing. We will use natural light in most situations. If an external light is needed, it will be used in a way to replicate the look and feel of natural light. Along with helping to tell the story of your day, Katie also helps with light during the reception. We work together as a team. She holds the light in a specific way while I shoot. This light is essential to my process. I use that extra little boost of light off my camera to allow the ambiance of the room to come through. All the hard work you have poured into that space will be captured in the same way you meant for it to be seen. It also adds texture to the photos that cannot be achieved with a flash on top of my camera. I feel that this adds a special element to my work. I ask clients to be patient when it comes to the editing process. I am meticulous about my editing, and this is where most of my time is spent. I pour through every single photograph to make sure that each one exceeds expectations. My editing style is very natural. I am striving to make sure you look like the best and most natural version of yourself. Wedding clients can expect a Facebook sneak peek a few days after their wedding, a blog post before their photos are delivered, and photo delivery within 4-6 weeks. I deliver all images through my online gallery, hosted by Pixieset. The gallery is password protected and private. My clients may download all their photos off of this site. You also can purchase professional prints through the same site. Unlimited digital downloads are included in the price of all photography packages. Your gallery will remain on my site for one year. It is highly recommended that you download and backup your photos as soon as possible upon delivery. Full pricing is available upon request. All inquiries are answered within 24 hours, but usually much sooner than that. Pricing starts at $2,900.